Price comparison of Mobiles, Laptops, Cameras, TVs, Appliances across all stores in India to find the best deal online. Read product reviews and ask others about products you want to buy. Welcome to the new method of shopping online. 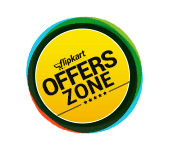 At PriceCheckIndia, the best price on electronics products is just a few clicks away. Our price comparison engine exhaustively searches E-commerce stores from across India to bring you the best price possible. That means you get the best deal for your chosen product, as it is, TODAY! Compare prices of mobiles, compare laptop prices and find the best price from amongst a range of products, all at the tip of your fingertips, never could be this simple. Our all-inclusive mobile price comparison and laptop price comparison service will ensure you get the lowest price for mobiles, laptops and more every time you make a purchase here. Price comparison for mobiles is done by finding mobile prices from all the major E-commerce stores in India. Click on a mobile to find out all stores where the product is available and at what price. Similarly for laptop price comparison as well as other price comparisons, you get the stores where your chosen product is sold along with the price. Thus, you get the best price for mobiles, laptops, refrigerators, television sets and so much more. Go ahead and interact with our smart user interface, which we have designed keeping the modern online shopper in mind. You can look for particular products as well as explore items according to price range or find reviews and ask questions on products you want to buy. Our daily growing traffic is testament to the high quality price comparison service we provide. Implementing new cool features like price alerts, smarter price filters and a mobile price comparison app, to make online shopping much more economical and simple for you to discover new products is our goal. So stop worrying about striking the best deal on your purchase, because we are here to do that for you.